i have been playing the Super Pershing for a wile now and i have to say that the armor fails a lot. in this tank i actually barely get penned in the Cupola, since most people aim and pen the lower plate instead. the upper plate may be pretty thick, but a lot of tanks the Super Pershing meets can pen the upper plate. you can still do a decent amount in the Super Pershing, but be careful. i have had plenty of matches where i died due to being penned in the lower plate and upper plate by tier 8s and some tier 7s. Seems like the multiple nerfs per update have finally caught up with the ol’ girl! i just think that the tank, armor wise is pretty outdated compared to every other heavy (yes, i am treating it as a heavy tank since that is basically what it is) and most tier 8s have enough pen now to make it's armor irrelevant. Edited by greenteam117, 26 March 2019 - 02:22 AM. Yeah she has been power crept pretty bad. The gun is showing it's age severely and needs buffed. Even with PMM it is still pretty tough to play consistently. it's always been full of holes of people know where to shoot, requires alot of jigging about. lower plate is still very troll if people shoot the centre of it, the edges not so much. The machine gun port is massive and of course the cupola. Speaking of Mobility, have any of you ever reached 40kph in it? That is the listed top speed but I do not think I have ever achieved that. I once got up to 35kph and thought I was screaming. Edited by Albapfalzd3, 01 April 2019 - 05:37 PM. Speaking of Mobility, have any of you aver reached 40kph in it? That is the listed top speed but I do not think I have ever achieved that. I once got up to 35kph and thought I was screaming. Never reached the top speed in it yet. What tanks are going through the upper plate? I'm not even sure the Borsig can do it. Machine gun port is too small to reliably hit unless the SP is point blank or isn't moving at all. 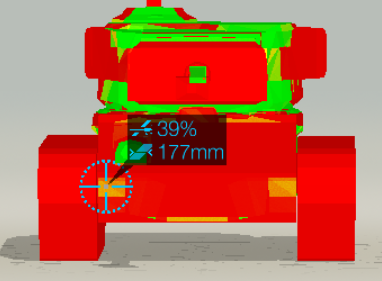 SP still has the most reliable front armor at tier 8 because you can't just load premium and cut through it. And it's still an American medium so it goes hull down pretty well. I managed about 80Km an hour in it on Westfield. I was falling off the viaduct at the time though. Say NO to the Lemming train, never, ever board. What other tanks have the same or better silver making that are fun to. Play? I also have the patriot which is. Fun.... King dragon? a little more inconsistent but definitely fun to play. hm, a bit ago i played my Super Pershing and got penned in the lower plate by a KV-85 using the 122mm. he got very lucky then. very lucky indeed, i was going to destroy him in 1 more shot but he reloaded a second faster than i did. Edited by greenteam117, 09 April 2019 - 09:58 AM. Should be whole large sections (around where it states) where the armour is < 175mm meaning that the avg pen will will go through, there's also sections around 178 effective where even a slightly moderate pen roll will go right through. Game Community → English Speaking Community → Forum → General Discussion → Tank Discussion → American Vehicles → Is the T26E4 Super Pershing still a viable tank? Game Community → English Speaking Community → Forum → General Discussion → Why no SP Buff?